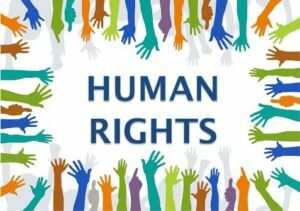 We often talk about how to campaign for human rights, but less often do we talk about how to campaign with rights, so that the act of campaigning respects the rights of those affected. The first question we need to ask ourselves when doing a rights-based approach to advocacy and campaigning is “Whose advocacy is it?” Do we see campaigning as something that we do as concerned citizens on behalf of disadvantaged and excluded communities, or do we see that our role is to support affected communities to do their own advocacy? Or do we see civil society working in partnership with the affected communities to advocate for the realisation of their rights? No one option is inherently better than the others. 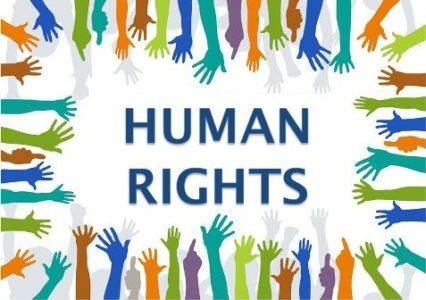 In my view, it all comes down to the context – in particular the power relationship between ourselves as progressive and concerned civil society actors, the affected communities as the “rights-holders”, and those with political or economic power who as the “duty-bearers” are the targets of the advocacy. But whichever approach we take, we need to be clear about who is setting the agenda. Have communities undertaken their own analysis and identified their own issues and objectives, or have we simply sold them our analysis? Have they truly participated in the planning of advocacy strategies, or have we intimidated them with our resource power, our confidence in our supposedly ‘superior’ knowledge? If we are supporting affected communities to do their own advocacy, can we be sure that they don’t see our support as being conditional on them choosing certain issues to do advocacy on, issues that coincide with our own advocacy agenda? If we are doing our own advocacy for the benefit of different affected communities, we need to be clear where our legitimacy comes from, and on what basis we have determined our objectives. We need to be transparent about who we have consulted and how we have reconciled differing voices – for there will always be differing voices. And we must ensure that our speaking out does not occupy the available media and political space, excluding the affected communities from having their own voices heard. At the end of the day, we need to ask ourselves: Have we respected the right of affected communities to control the advocacy that is about them? Our second challenge is, through choosing to advocate for a particular group, we may have also adopted the mantle of “duty-bearer” and all the obligations that it infers. In particular, we have the duty to be as effective as possible – focussing our efforts where they will make the most difference to the affected communities, rather than what is easy or will most benefit our organisation. This also requires that the methods of our advocacy promote the long-term interests of the rights-holders, and not just the short-term needs of the advocacy. This is most apparent in how we describe and illustrate affected communities and the situations that they are facing. Do we show them as helpless victims or as positive actors engaged in the struggle for justice? Do we represent the problems they face accurately, or do we distort them in an effort to maximise our response rates from the public? Are our prescriptions for solving their problems realistic, or do they reflect an over-simplified quick-fix that will have little real impact on the lives of affected communities? Finally, if we are respecting the rights of those who are the intended beneficiaries of our campaigning, then we should be committed to holding ourselves accountable to them. We should submit to their judgement on whether we have involved them appropriately, whether we have respected their dignity in our campaigning, and whether we have made best use of the opportunities and resources available to us. This blog is an edited version of a speech given to a conference on “International Advocacy: Potentials and Challenges” held by CISU in Copenhagen on the 30th August 2012.